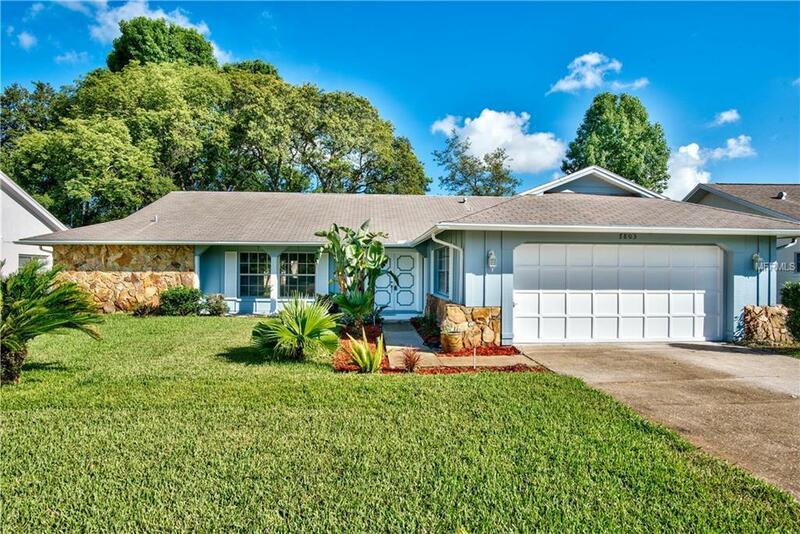 ****Updated Price*****Spectacular 3 bedroom, 2 bathroom, 2 car garage ranch style home in the desirable Beacon Woods subdivision located close to the Gulf of Mexico! This home has undergone a full transformation and has been remodeled inside and out! No expense was spared! This well maintained property offers almost 2000 square feet of living space shows like a new home. The open and bright kitchen is impressive with solid wood cabinets and soft close doors/drawers, stainless steel appliances, and granite counter tops. This home features an open floor plan with low maintenance tile throughout the main areas. Bring your pets as they will enjoy the large lot and brand new yard. Come enjoy the beautiful clubhouse amenities featuring tennis courts, an over sized pool, and an amazing golf course! This home will not last long! Seller is motivated!